Jenny becomes obsessed with a strange "mirror Facebook," which presents an alternate, possibly better, version of herself. Helen finds her clothes growing baggy, her shoes looser, and as she shrinks away to nothingness, the world around her recedes as well. The animals of the city briefly open their minds to us, and we see the world as they do. A mysterious music file surfaces on the internet and forms the basis of a utopian society - or is it a cult? 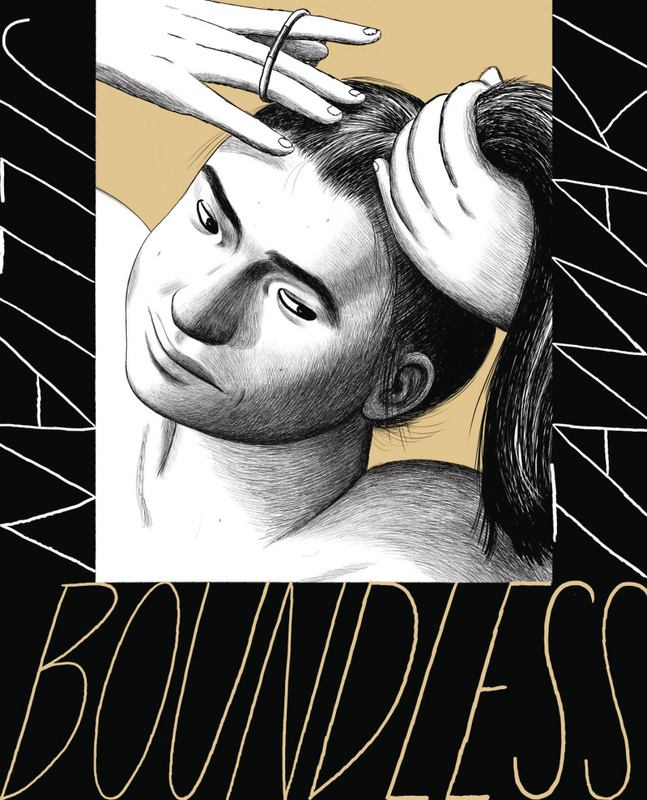 Boundless is at once fantastical and realist, playfully hinting at possible transcendence: from one's culture, one's relationship, oneself. This collection of short stories is a showcase for the masterful blend of emotion and humour of award-winning cartoonist Jillian Tamaki.